The great thing about September is that there’s tons of zucchini and various squash available at most local farmers markets. If you’ve been following my recipes for a while now, then you’ll know I love to promote super simple recipes. I love to eat simply. The more I eat simple meals, the better food tastes to me, which I find so fascinating. I also love to promote simple meal that you can make yourself at home that won’t take up a lot of your time. There’s a common myth that living a raw foods lifestyle is really time consuming but it just doesn’t have to be the case! Here’s another easy-to-make salad recipe that won’t take two shakes of a lambs tail. Ok, that’s a really weird analogy, where did that come from anyways? All you need is a blender to blend up the creamy dressing for this salad. I use a Vitamix. If you don’t have a good blender, it’s well worth the investment. Check out the Vitamix Deluxe Edition. That’s a blender that will last you a lifetime. 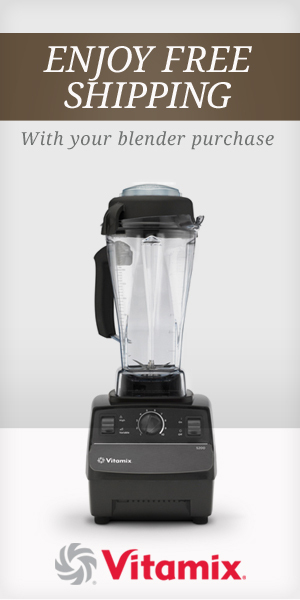 A blender is one of the Top 4 Kitchen Essentials that I recommend stoking your kitchen with. Blend until smooth. Pour on top of shredded salad and toss. On a plate or bowl, rough chop up some lettuce and scoop the shredded salad on top. If you like, add a few slices of avocado and tomato. Want to come join us for private raw food retreat? Check out what we offer for private retreats here!